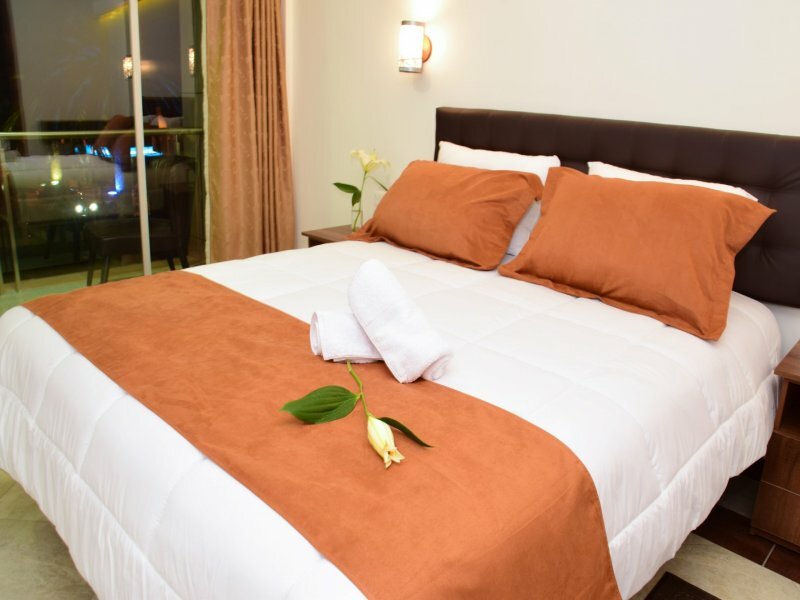 We offer fully furnished rooms ..! An awesome place you should know ..! 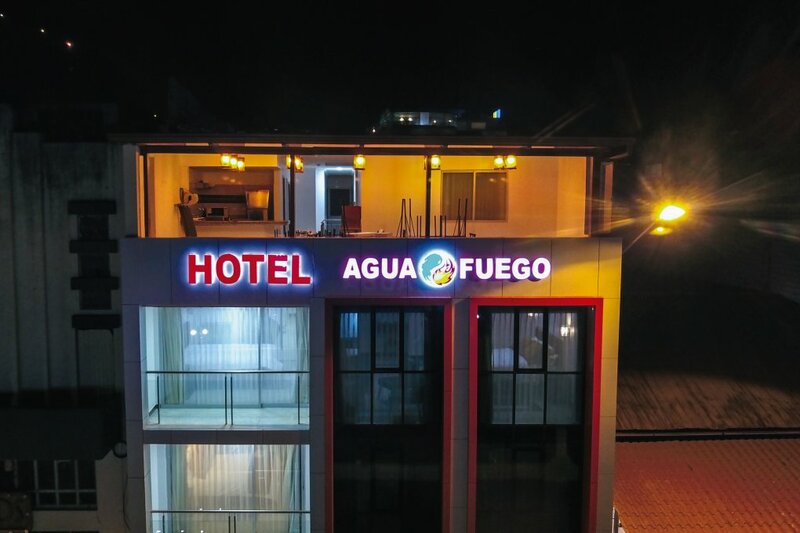 Agua Fuego Hotel, we are located in the centr of Baños de Agua Santa city. 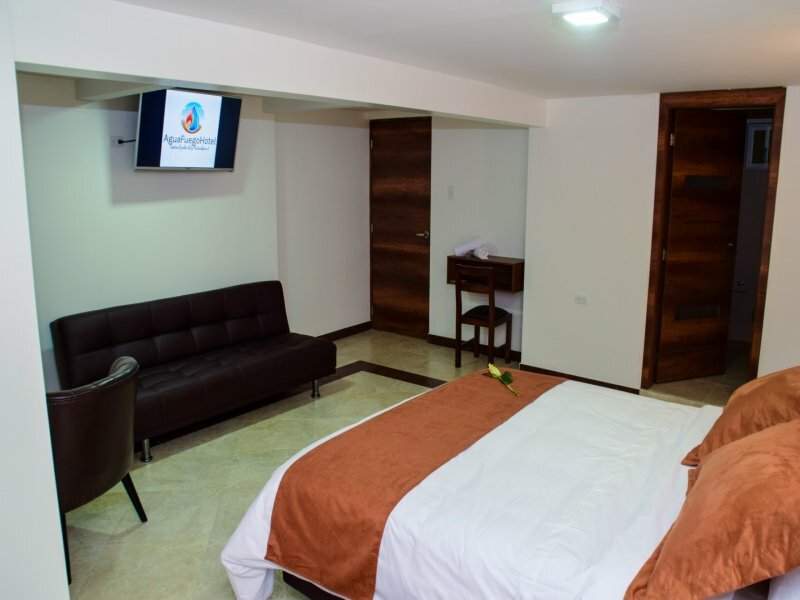 We are a new hotel in the town of Baños de Agua Santa. 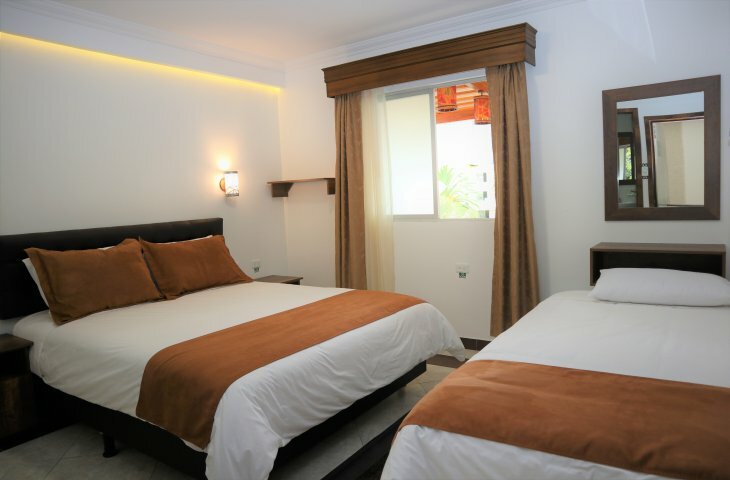 We are located in the center of the town, from our hotel you will be able to go to the different tourist places that the little piece of heaven offers to national and foreign tourists. 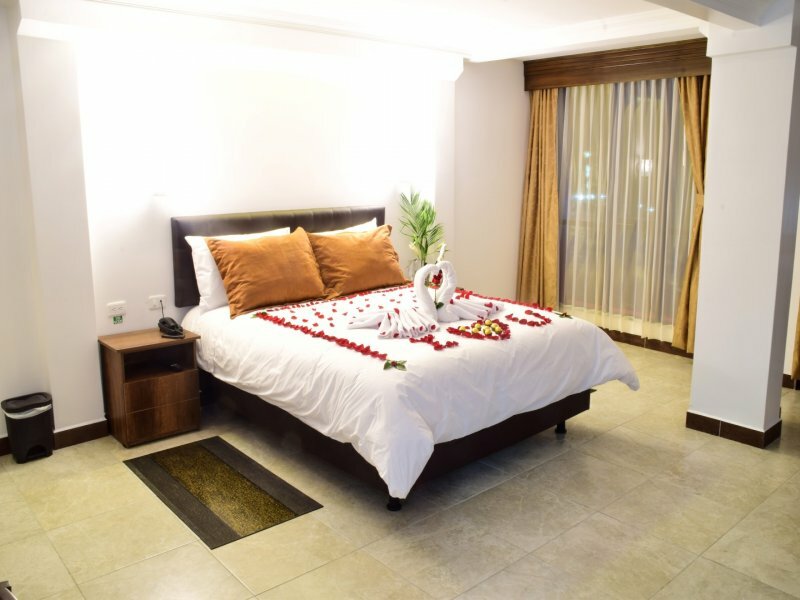 Come and get some rest in our comfortable rooms, equipped with everything you need when looking for a quality rest. 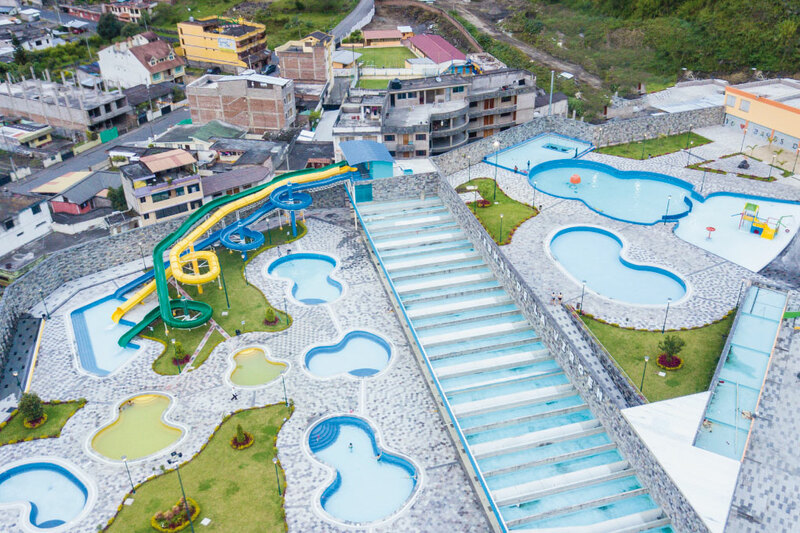 Pailón del Diablo, Termas de la virgen, Basilica de Baños, Tree House, and many more places await you ..! 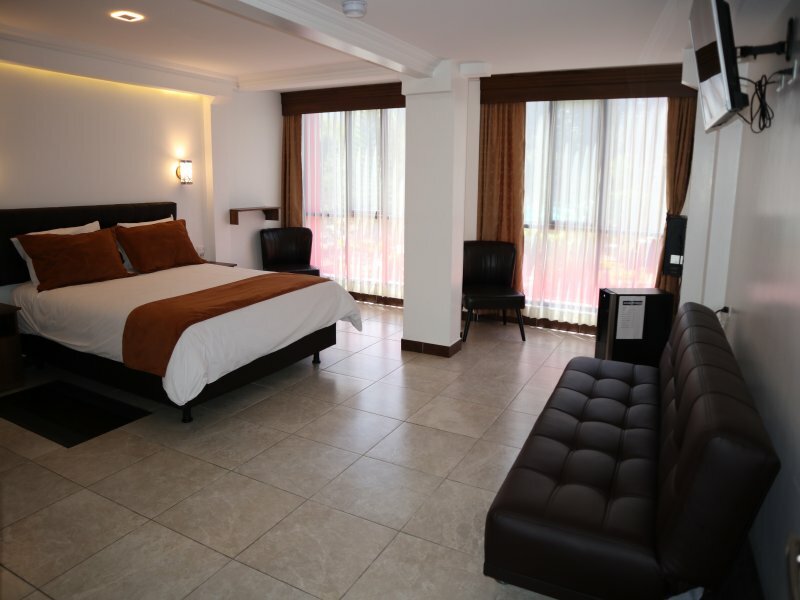 Check the list of our rooms, we offer comfort in the center of the city. 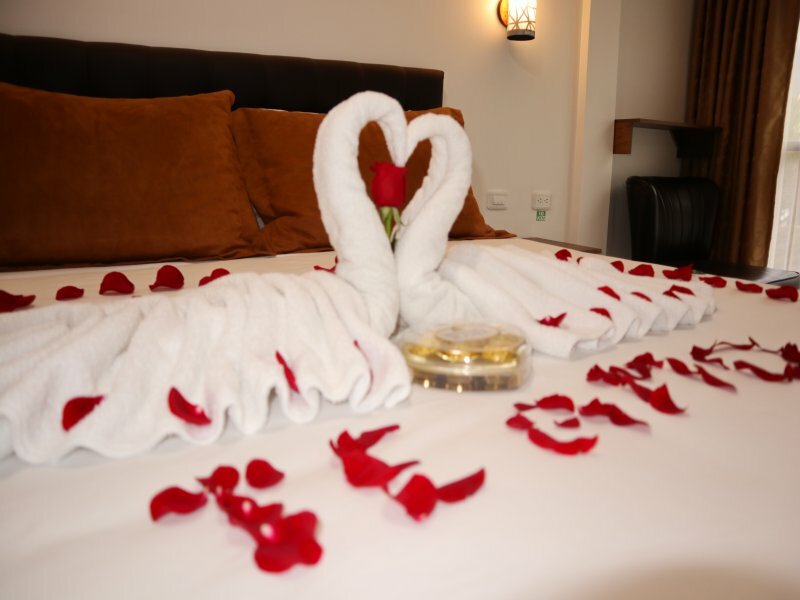 In Agua Fuego Hotel, we treat our clients with quality service in addition to our personalized attention. Out Hotel is located in the center of the city, close to everything, and close to every tourist place that the city offers. 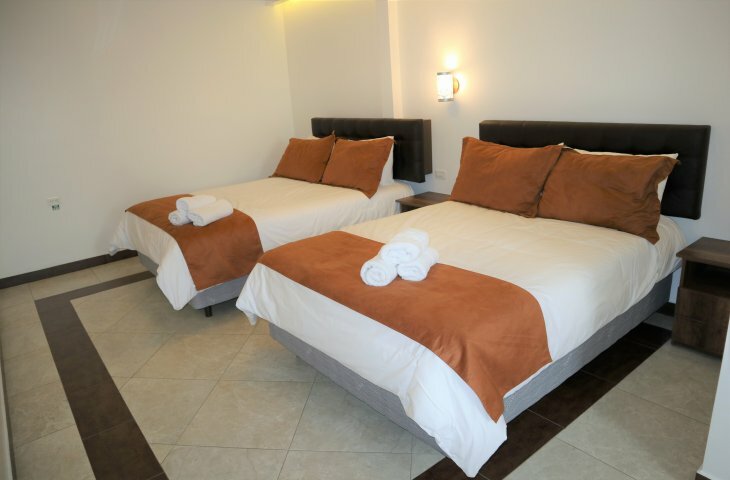 where those who stay with us can enjoy a pleasant and restful rest...! 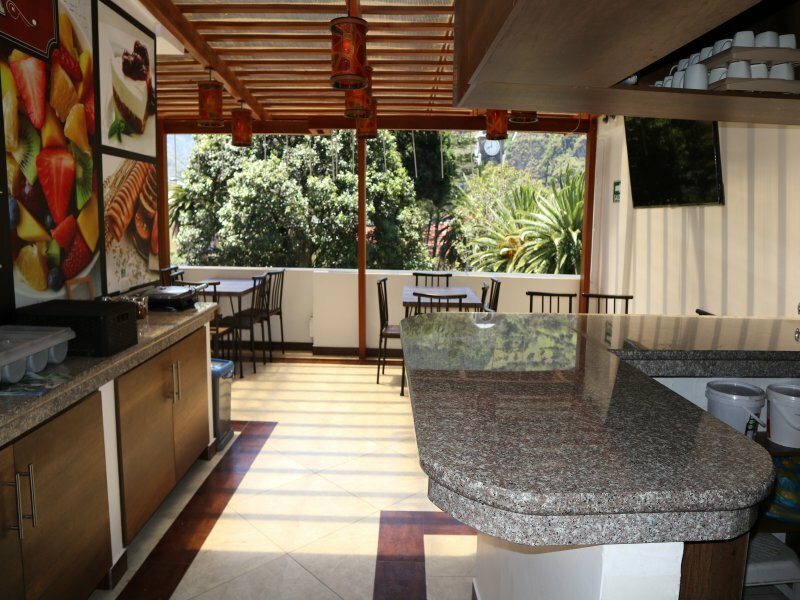 from our terrace you can enjoy beautiful views of the city and its surroundings..! 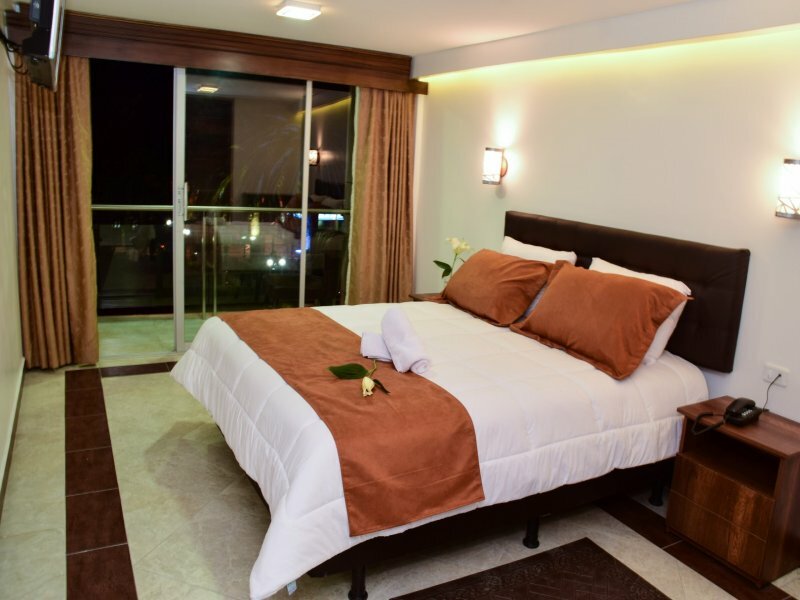 in our balcony you can enjoy our specilties, in addition to a spectacular view..! 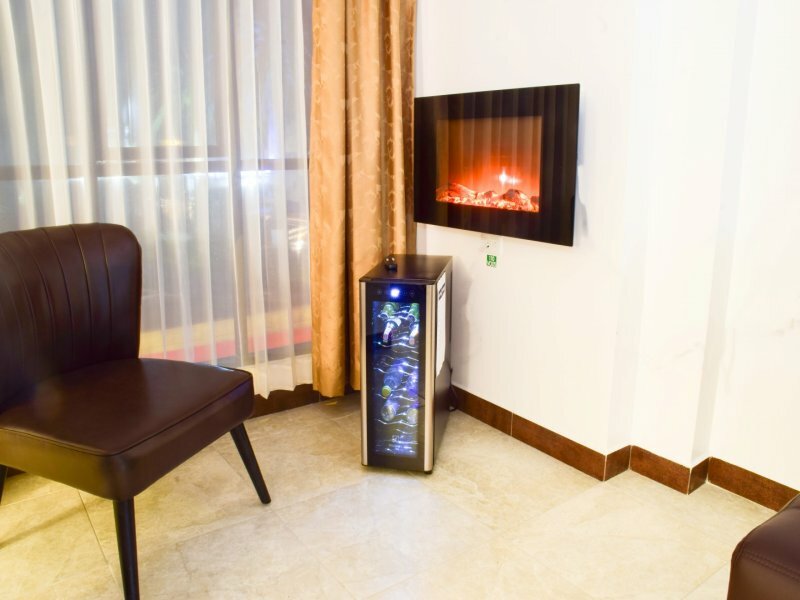 in our entire hotel, you can stay connected to the technological world that surrounds you..! 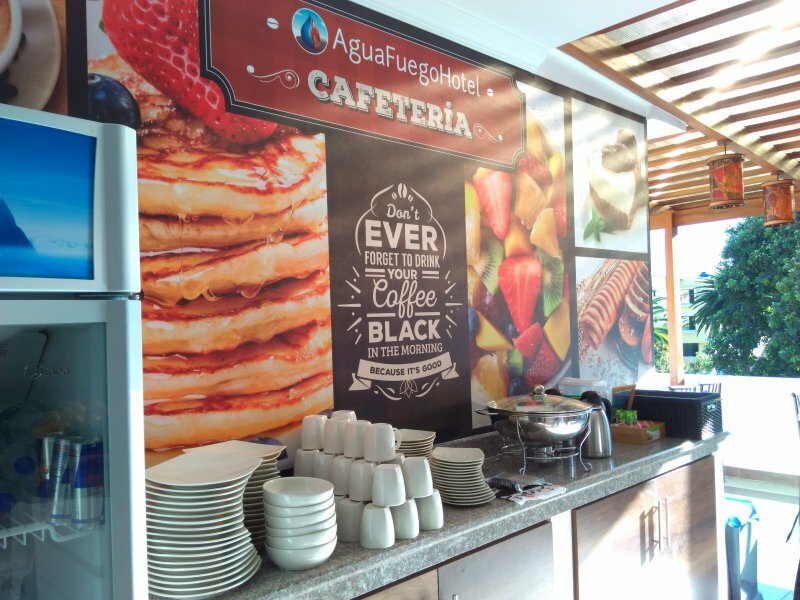 a picture is worth a thousand words, that is why we show you every corner of Agua Fuego Hotel so that you know everyting that we offer you in your stay..! 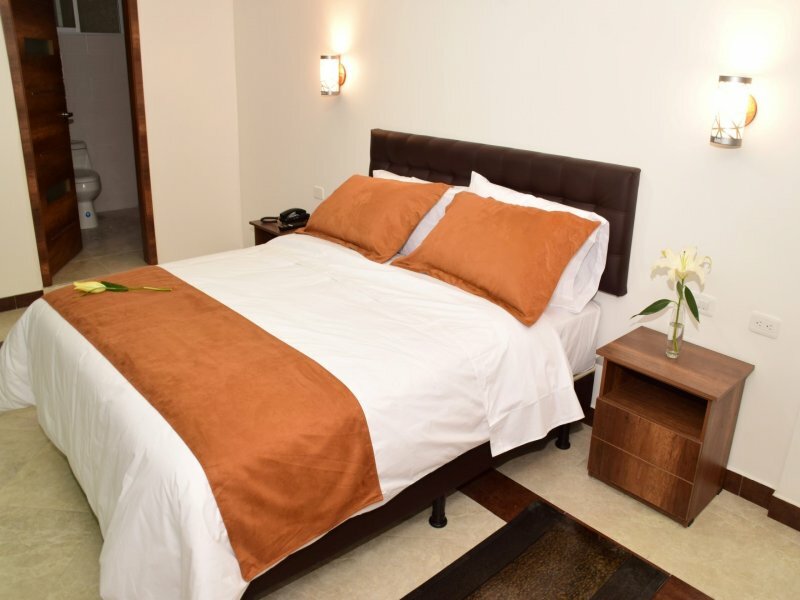 All the tourist information of the city, the country and the world, to keep you informed always. We write about important events and news that are presented daily. 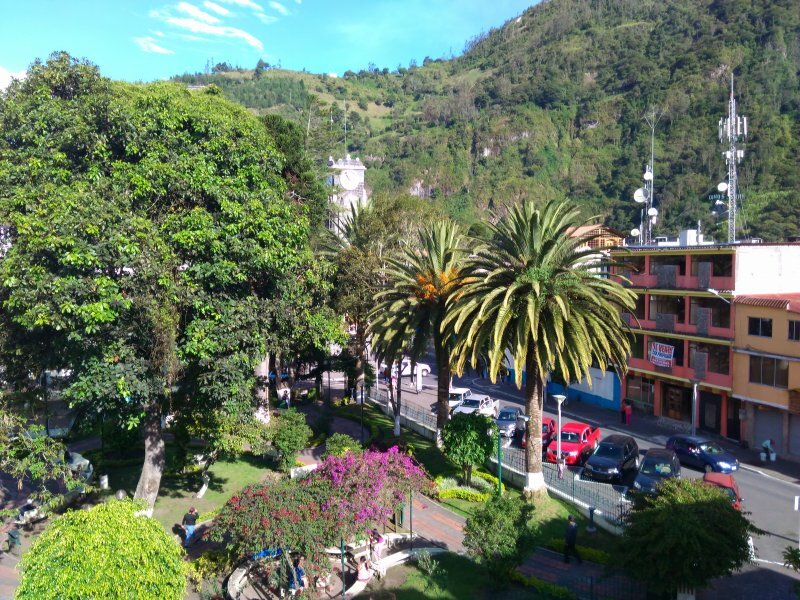 Within the amalgam of tourist places that the Baños de Agua Santa canton offers its visitors, one has become an obligatory stop in the itinerary of the thousands of people who visit it year after year. It is the fascinating and charming Tree House, a small wooden building mounted on a giant tree. The site allows adventurers to enjoy unforgettable, incredible and direct views of the crater, cone, skirts, ravines, gorges and behavior of the Tungurahua volcano. This is because it is located just in front of the western flank of the colossus, on a small hill, just 2.5 kilometers in a straight line from the top of the massif. Similarly, who dares to climb to one of the 2 floors of the tiny house, take the opportunity to take photos, contemplate the panorama, meditate or simply feel the cold wind in the face, because at this height the air runs with force and temperatures of 5 and 9 degrees Celsius. "When the day is clear, you can appreciate the volcano in all its splendor. With the help of binoculars you can even see the interior of the crater, as seen from this angle the top of the massif has a slight inclination that allows you to look and portray its interior, "says Lourdes Benítez, a Quito tourist. Even on cloudy days the visit to the place is possible, since there is an ecological walk that surrounds the property, by which you can walk guided by a rope enabled for this purpose. Monitoring Station This place shares its location with the Ventanas Monitoring Station, built in 1999 when the last eruptive process of the Tungurahua volcano began. There, Carlos Sanchez, watchman of the station, daily analyzes the behavior of the colossus and also welcomes and advises the intrepid and curious tourists who arrive. 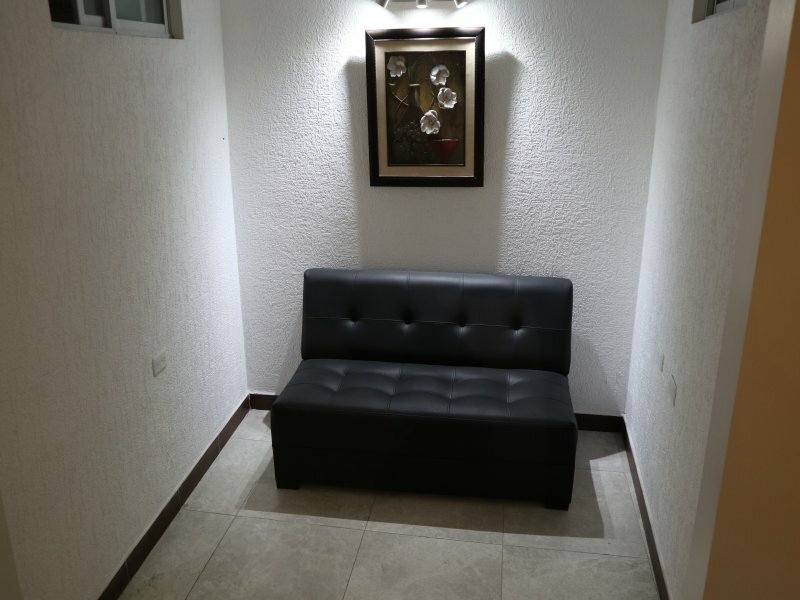 "This place is 100% safe. You can even camp, because being on top of a hill, there are descendant sites protected from the wind, "says Sanchez. To access the place where this unique house is located, follow the road that leads to Runtún. Income is free for 365 days. 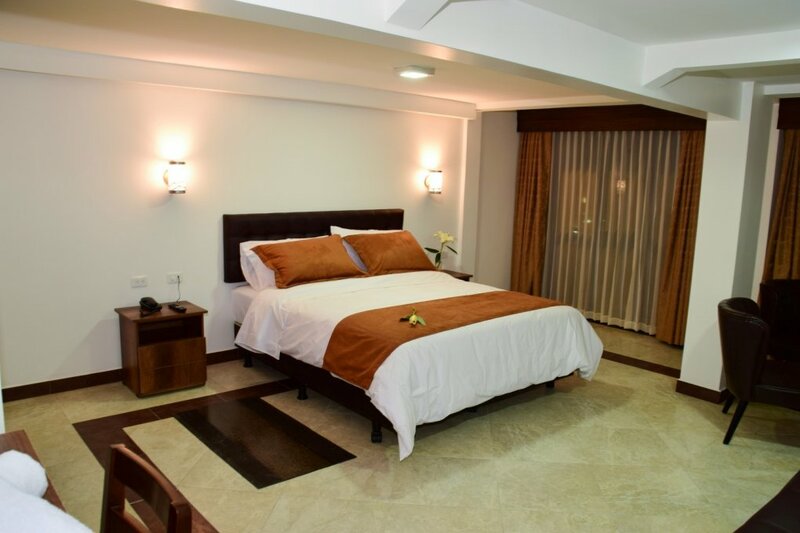 Since 1992 the family Guevara Zamora with private investment begins the construction of ecological trails in the property where is located the waterfall Pailón de Diablo. 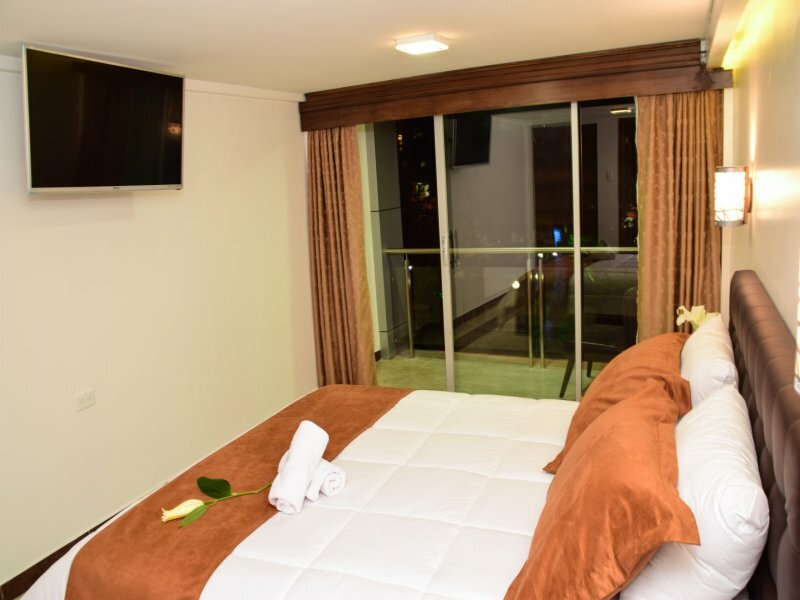 Surrounded by exotic vegetation and wonderful landscapes, it is a highly recommended place to visit, the fusion of the sounds of the waterfall with nature offer a place of relaxation. To access this place we must head from the city of Baños de Agua Santa in the direction of Puyo, on a 17km bus ride and approximately 25-30 minutes, you can also travel this bike ride enjoying the Route of Las Cascadas, you can rent bicycles for an initial value from 5USD per hour or the whole day, or make the trip in chivas; Whatever the means by which you go to this landscape, you must reach the Parroquia Río Verde, then walk along ecological trails for approximately 25-30 minutes. The trail has been built respecting nature, is completely safe the route, to reach the Pailón del Diablo you can take a tour of the suspension bridge and admire the whole landscape of the waterfall; there are also the steps that lead you to the interior of the waterfall, you will enjoy a beautiful landscape and you will cool with the breeze that emanates the fall of the water in the Pailón that has a fall of approximately 80 meters of height. The name Pailón del Diablo is due to the fact that in the existing rocks in the sector you can see some faces associated with the King of Darkness. ARTISANAL PASSAGE ERMITA DE LA VIRGEN: a place in the center of the city of Baños where you can buy souvenirs made in Tahua, raft, mullos, metal and wood, which are manufactured by skilled craftsmen of the city. 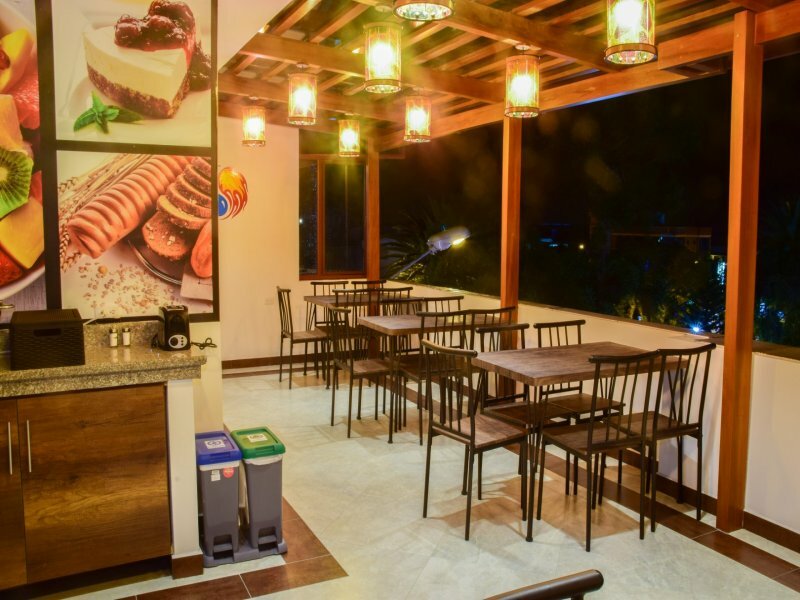 Is located in the center of the city to one side of the Central Market. CHURCH OF THE VIRGIN OF THE ROSARY OF AGUA SANTA: emblematic place for all the faithful who visit this church in search of peace and to thank the favors granted by the Virgin, in its interior you can observe a collection of murals that describe the local miracles, attributed To the Virgin, patroness of the city. The Basilica is of architectural infrastructure, this artistic work defied time and history. 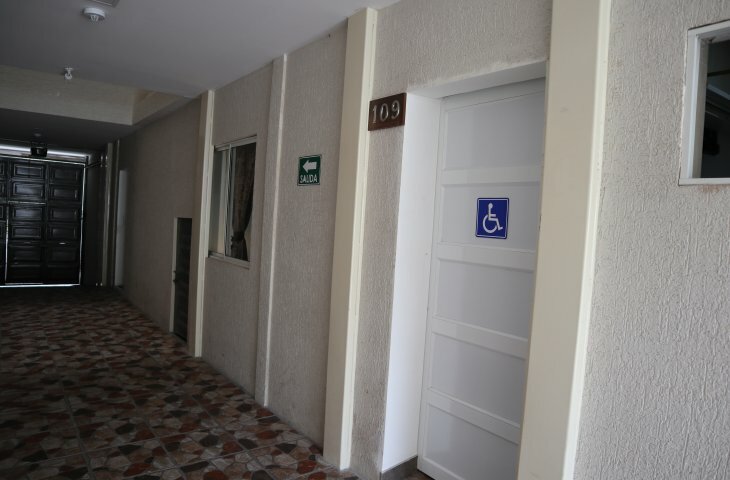 The Church is located in the center of the city on Calle Ambato. 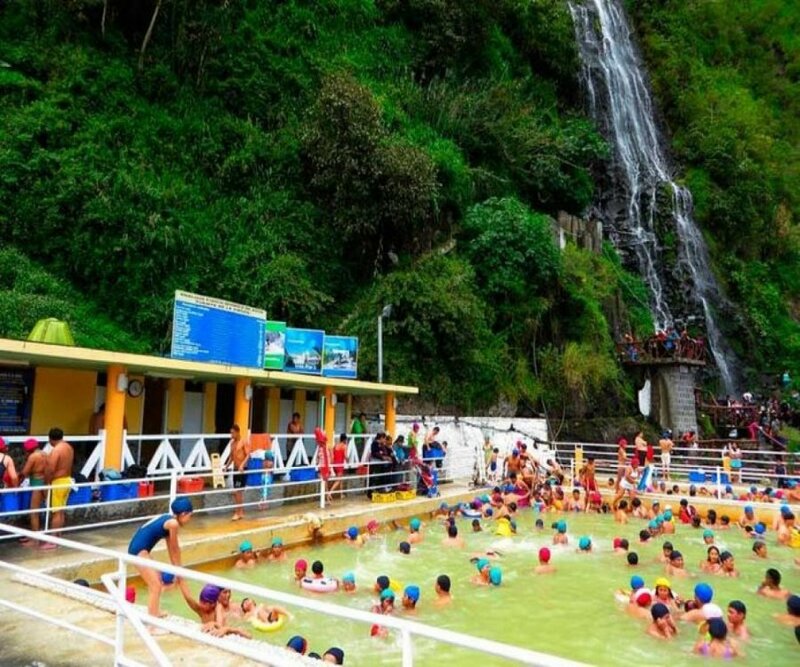 POOLS AND SPA OF THE VIRGIN: pools opened on May 24, 1928, at the foot of the Cabellera de la Virgen waterfall, a place of peace, relaxation, health and social gatherings. These hot springs have their volcanic origin in Tungurahua. The water of the hot springs of Virgen de Agua Santa presents a yellowish color with a temperature of 54 ºC, somewhat turbid by the minerals in solution as: magnesium sulfate of yellowish color, it is odorless and it has saline flavor; Is composed of calcium, sodium, magnesium, chlorine, silicic acid, potassium, sulfur and carbon dioxide. 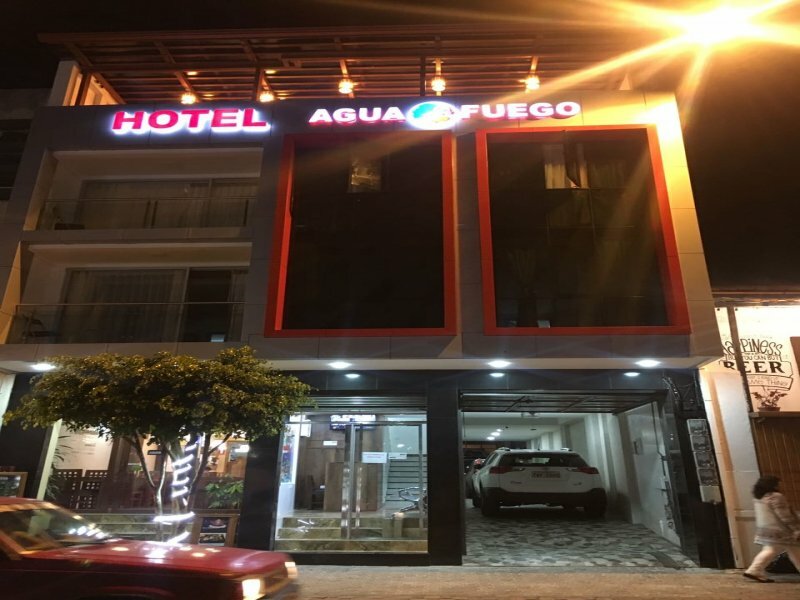 Located at the end of Luis A. Martinez Street in front of the Sangay Spa Hotel. Costs Entry: day $ 2, night $ 3. Hours: 5 - 16:30 and 18 - 21:30. 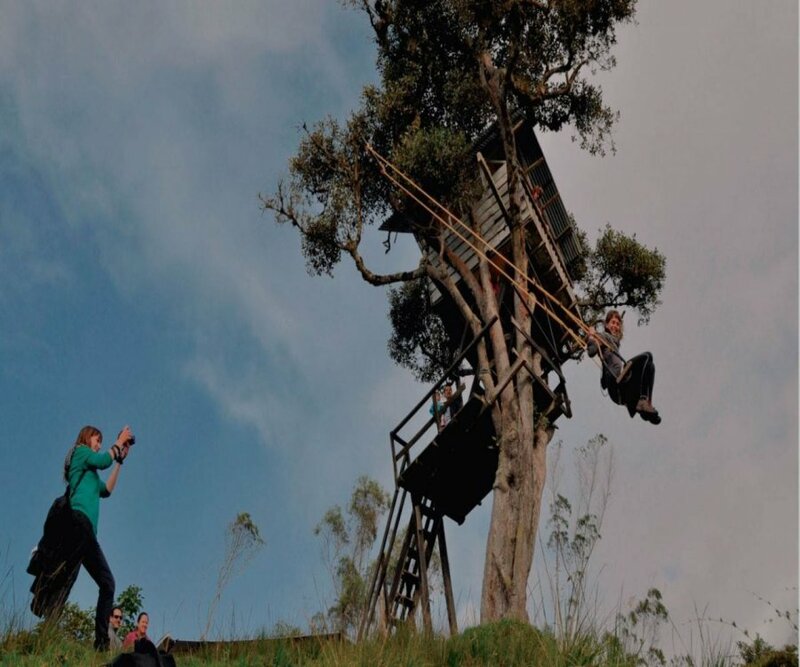 TREE HOUSE: Tourists arrive at this place in the canton Baños de Agua Santa to observe the emission of ash and the exit of incandescent material when it is in the process of eruption. The Tree House was built with wooden walls, zinc roof and a swing that hangs from one of the branches of the tree. 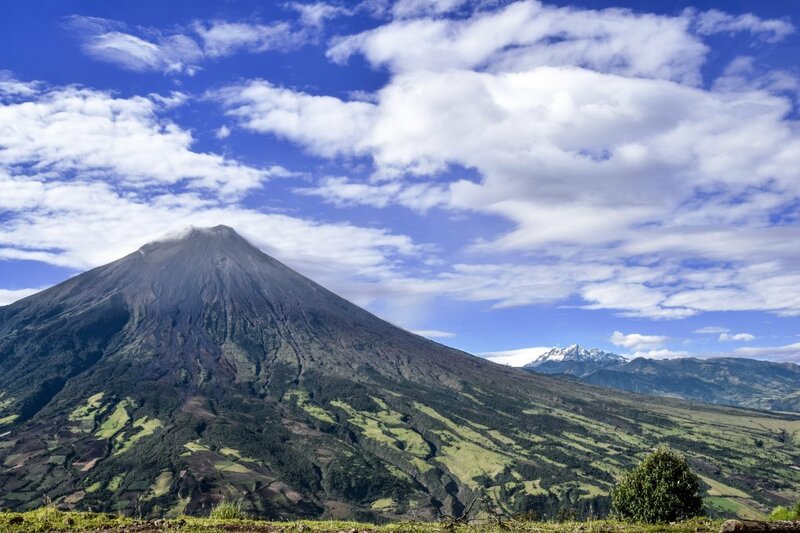 The view of the Tungurahua volcano from the House of the Tree is unique and spectacular, being able to admire the crater to only 2.5 km in a straight line. Located in the Runtún Cacerío at a distance of 10km from the city of Baños de Agua Santa, this place can be accessed by own car, by bus at 05h45, 11am, 14h00, 16h00, or by accessing a tour with the best Agencies of the city, you can check the list of tourist agencies in Baños de Agua Santa in this link, the same ones that will guide you throughout the trip. The cost of access is 1 dollar for adults. CONDOR FLIGHT: Definitely the "Swing Flying Condor" is a new attraction located in the Community of Santa Rosa de Runtun in the province of Tungurahua specifically in Baños de Agua Santa, gives all tourists the adrenaline to fly through the air In a very well designed swing and with all the necessary assurances to carry out this activity, to feel on the air in the valley and with a spectacular view of the Tungurahua volcano, has no pretexts to do it. 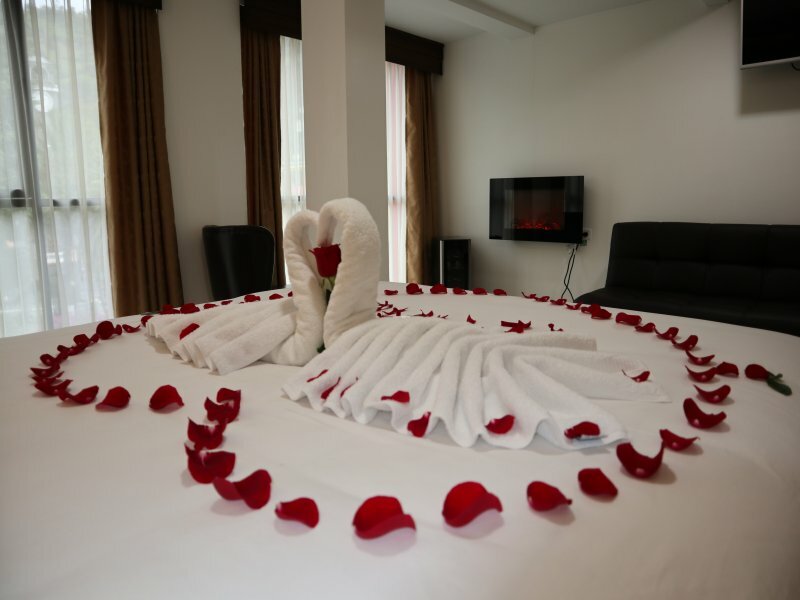 We invite you to enjoy it. Located in the Runtún Cacerío at a distance of 10km from the city of Baños de Agua Santa, this place can be accessed by own car, by bus at 05h45, 11am, 14h00, 16h00, or by accessing a tour with the best Agencies of the city, you can check the list of tourist agencies in Baños de Agua Santa in this link, the same ones that will guide you throughout the trip. AGOYAN HIDROLECTRICA DAM: The Agoyán Power Plant was designed to take advantage of the mass flow of the Pastaza river, located 5 km east of the city of Baños on the road to Puyo, in the area called Agoyán of the parish of Ulba, on the main road Entry to the Ecuadorian Amazonian sector. It can be appreciated from a very attractive and unparalleled landscape. 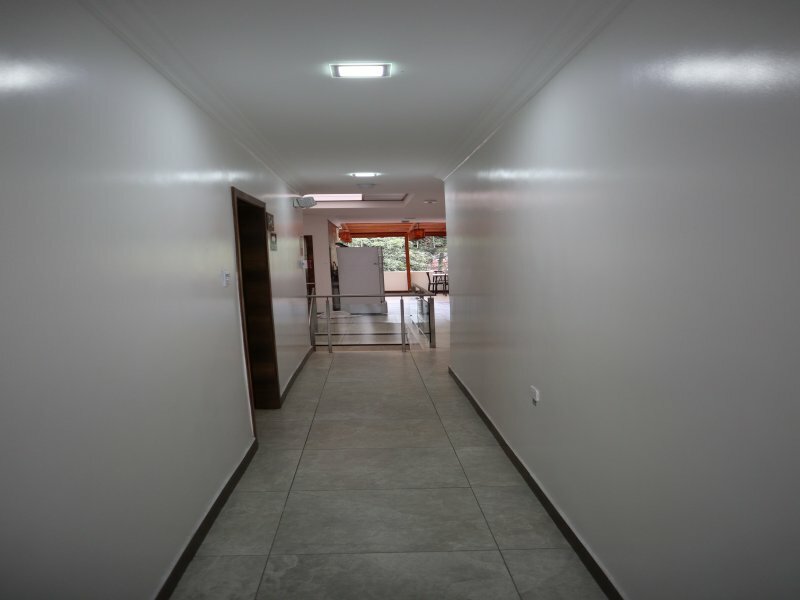 PARK OF THE FAMILY: A place of rest for family and friends, offers the possibility of walking trails, has a picnic area and barbecues, you can observe animals and fish, and the hydroelectric. The Park attends the days: Thursdays and Fridays from 10h00 to 18h00, Saturdays, Sundays and holidays from 8h00 to 18h00, Note: From Monday to Wednesday it is open to the public, with limited offer of services. 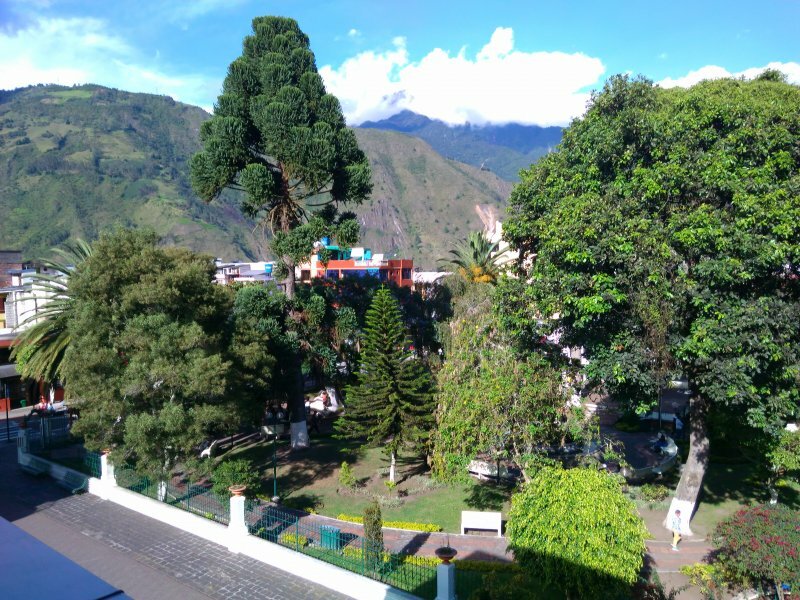 It is located 5 km east of the city of Baños on the road to Puyo, in the sector called Agoyán of the parish of Ulba. 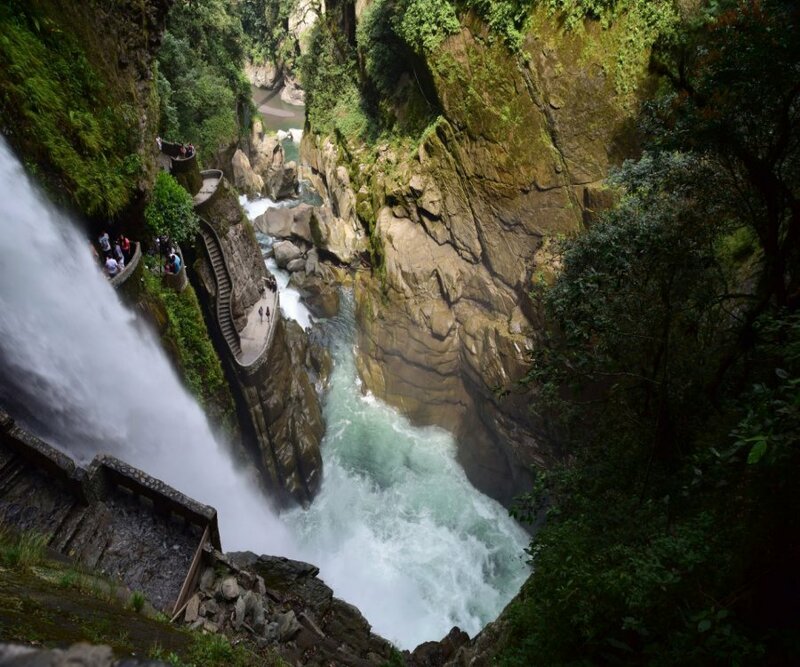 PAILÓN DEL DIABLO: Since 1992 the Guevara Zamora family with private investment begins the construction of ecological trails on the property where the waterfall Pailón de Diablo is located. 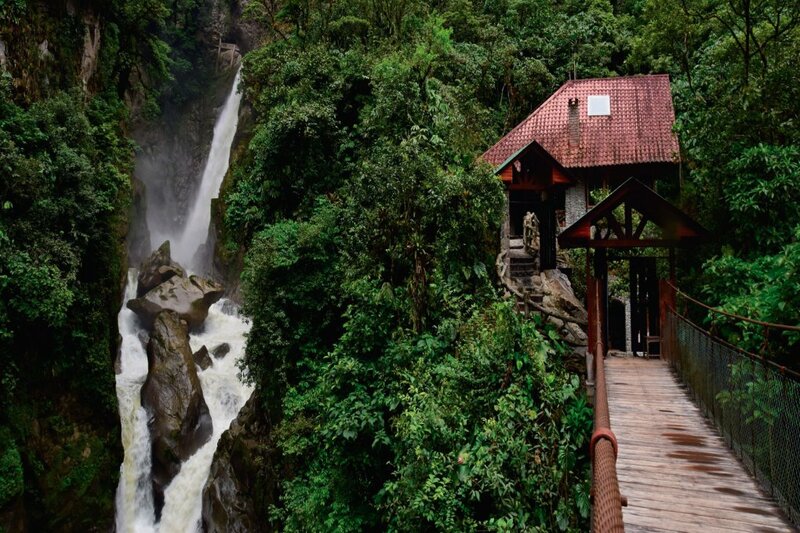 Surrounded by exotic vegetation and wonderful landscapes, it is a highly recommended place to visit, the fusion of the sounds of the waterfall with nature offer a place of relaxation. To access this place we must head from the city of Baños de Agua Santa in the direction of Puyo, on a 17km bus ride and approximately 25-30 minutes, you can also travel this bike ride enjoying the Ruta de las Cascadas, You can rent bicycles for an initial value from 5USD per hour or the whole day, or make the trip in chivas; Whatever the means by which you go to this landscape, you must arrive to Parroquia Río Verde, then walk along ecological trails for approximately 25-30 minutes. 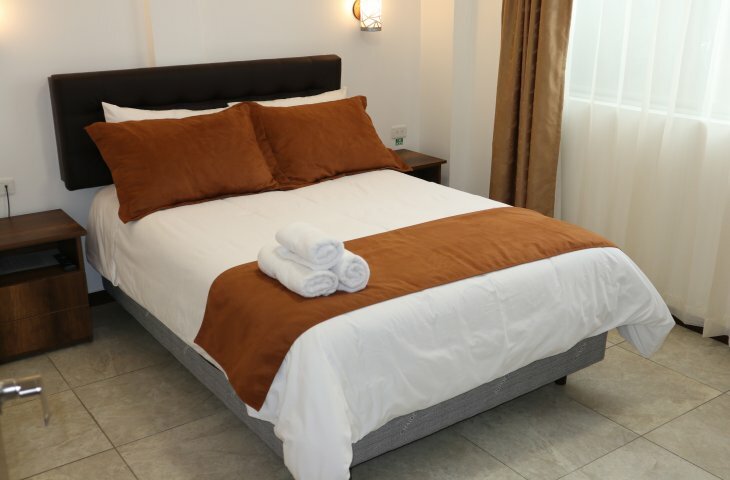 We have comfortable rooms waiting for yuo, check the listing...! 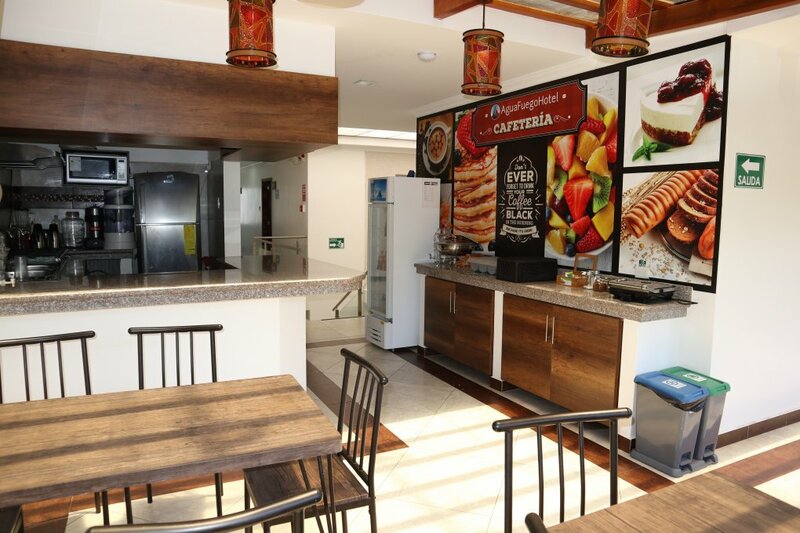 Our completely new facilities and with the best service of the city ..!